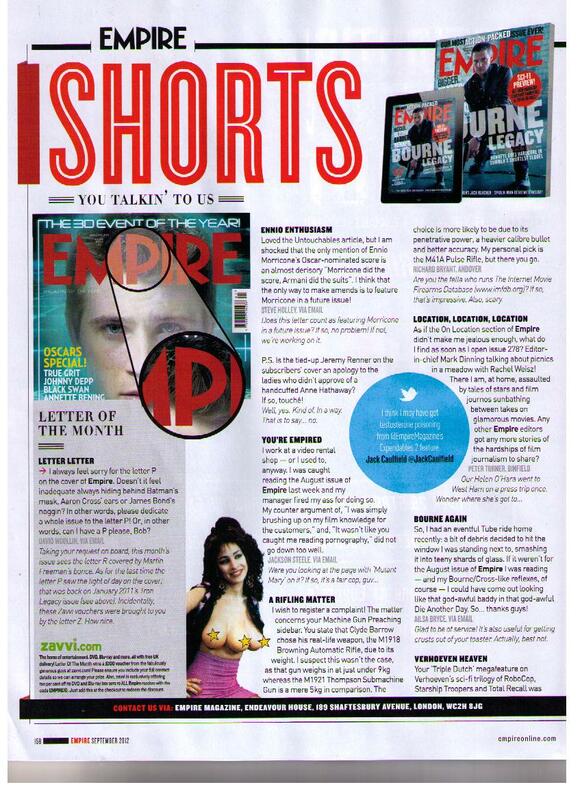 Any Empire Magazine readers who picked up the September 2012 Issue 279, have a little flick to the letters page and look out for one that was given the title Location, Location, Location written by a Peter Turner from Binfield. That's my letter! Well if you want to write for Empire, you got to start somewhere I suppose!